It’s DIY Christmas decorations time in the city— or far back country if you’re singing it from my house! Yes, I’ve started to feel that back country feel as winter settles in on this side of the Cascade Mountains. The days are sunlight short, kiddo long, and getting cold. When the sun goes down there’s no city glow in our sky and the town is quiet. I think everyone is hibernating? If I suddenly woke up in New York City I think my body would go into shock at this point! One bonus of winter hibernation is crafting for the holidays! Besides birthdays, I hardly ever craft during the year. But when December rolls around it is craft central in da house! I love creating my own Christmas decor and this year I had a stronger vision for what I wanted to do and a lot of fun crafting the items delivered to my doorstep! 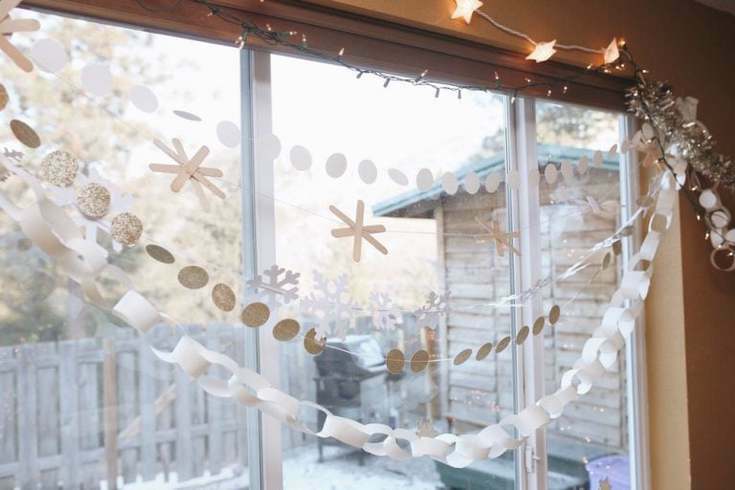 Read moreEasy Diy Christmas Decorations! Hello and welcome to THIS side of Thanksgiving! I hope you all had a wonderful long weekend filled with family, memories, and more than a few morsels of delicious food. I can’t believe we’re entering into the week where December of 2017 begins! Agh! Falalalala lalalala. Hey there! It’s been quiet around here on the blog since the One Room Challenge finish. There are a few projects there that I haven’t given more details on, but didn’t think it fit quite into those holiday vibes this month, so we’ll save them for after the New Year! Right now I just want to talk about everything lovely and Christmas. Especially our Scandinavian inspired Christmas decor decking our halls this year! Today myself and 6 other bloggers will be kicking off a week of holiday home tours in their finest form. Since I can’t have everyone over for a cup of Christmas cheer, I hope that you can enjoy a bit of my home from the comfort of wherever you are.